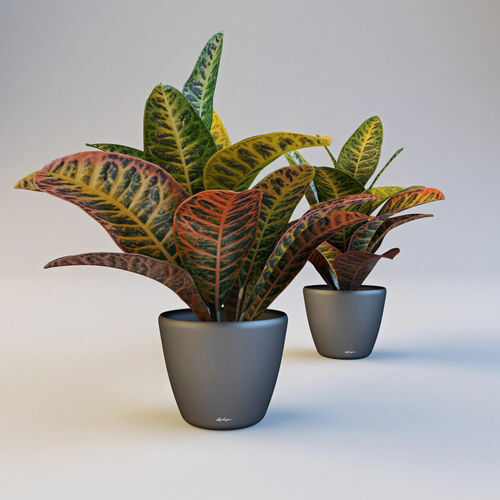 High detailed photorealictic 3d model of Croton plant with 'Lechuza' pot. The Max scene 2014 comes fully shaded for V-ray render and ready to use. The texture maps is included and the plant object is correctly UV-mapped.